Fall weather and school starting allows me to read a little more in the evenings. On my mind lately is a book I read a few years ago and I find myself wanting to revisit the story, or the truth as the author states. The Temptress by Paul Spicer contains one of the most talked about murders of the day. The time is Africa during the 1930s and 1940s when the Happy Valley Set, a group of expatriates living in Kenya, were making headlines with their love affairs, boozy and drug-filled parties, and hostile relations with their birth countries. On January 24, 1941, an even bigger scandal erupted when one of the Happy Valley Set’s own, Josslyn Hay, Earl of Erroll, was found dead in his car on a rural road with a single bullet in his head. Was it jealousy? Warring tribes? Someone who wanted a well known scoundrel and possible Nazi dead? Spicer answers these questions in the book, and we are given a glimpse into the lives of a group of men and women who probably weren’t so “Happy” after all. 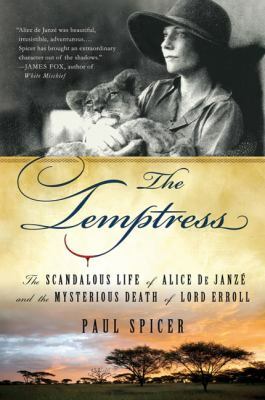 The Temptress isn’t the only book we have that discusses and dissects true crime into delicious little bits of scandal and secrets. In fact, the entire genre was started by the legendary Truman Capote when he detailed the murders of the Clutter family and the fate of the killers in his nonfiction masterpiece, In Cold Blood. The story consumed Capote, and his friend Harper Lee, causing him to portray a horrific crime with suspense, psychological prowess, and surprisingly, empathy. The Library also has two DVD interpretations of In Cold Blood titled Capote, with Phillip Seymour Hoffman, and Infamous, with Sandra Bullock as Harper Lee. Footsteps in the Snow by Charles Lachman was brought to our attention by a patron who was from the same town where the crime was committed. Footsteps in the Snow describes a very cold case involving the murder of a little girl in her own neighborhood. The author writes of fifty-five years of hidden clues and lies , a death bed confession, and final justice for a little girl and her family. Finally, I would like to mention two other very intriguing books. Patricia Cornwell, one of our Queens of Mystery Writing, claims to have solved one of the world’s most famous, and most horrific, serial killer cases. In Portrait of a Killer: Jack the Ripper Case Closed, Cornwell details who she believes was the true Jack the Ripper, and has a significant amount of research to back it up. In the same vein, tireless investigative reporter Leonard Levitt spent a great deal of his life seeking to find justice for Martha Moxley, a fifteen-year-old girl bludgeoned to death with a golf club on her way home from a Halloween party. After teaming up with investigator Frank Garr, the two were finally able to use old evidence, unearth cover-ups and bring the killer to the forefront, resulting in a guilty verdict. Aptly titled Conviction: Solving the Moxley Murder, Levitt pieces together and delivers on an American tragedy.